I have been using Ubuntu for 2 years and found it to be better than Windows. I don't want to start an OS war but this is just my own opinion. Ubuntu has more than 12 million users Worldwide which is increasing day by day. 50% of the linux users prefer using Ubuntu. 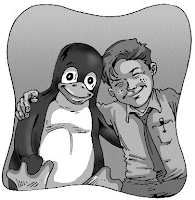 Those days are gone when Linux based OS were used by only geeks who couldn’t think about non technical users but now Distros like Ubuntu, Fedora, Linux Mint are more user Friendly than ever. A windows user can easily migrate to Linux and get used to it within a few days. Here are some great reasons which makes Ubuntu the better OS . 1. FREE – Ubuntu is 100% Free to Download & Distribute. 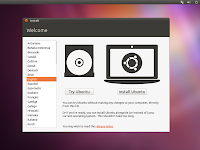 Just Download and Burn it to a Blank CD.The Ubuntu installation CD can be used as a LiveCD so you can actually try Ubuntu without installing it or if you don't want to spend money for a blank CD then you can create a Bootable Live USB drive using the ubuntu utility 'Startup disk creator'. So why do you need to spend around $200 for buying Windows 7 or Break the Law for using a Pirated Version when you can get something better for Free. Every single Update or Upgrade is absolutely free and automatic. Ubuntu is sponsored by the UK-based company Canonical Ltd.
2. Installation –You can install Ubuntu with the live CD or Live USB drive.You can install it with Wubi inside Windows (ubuntu can easily be removed from Add/Remove programs like any other application if you install it inside Windows) or install Ubuntu on a single (EXT3) partition separately to Windows. 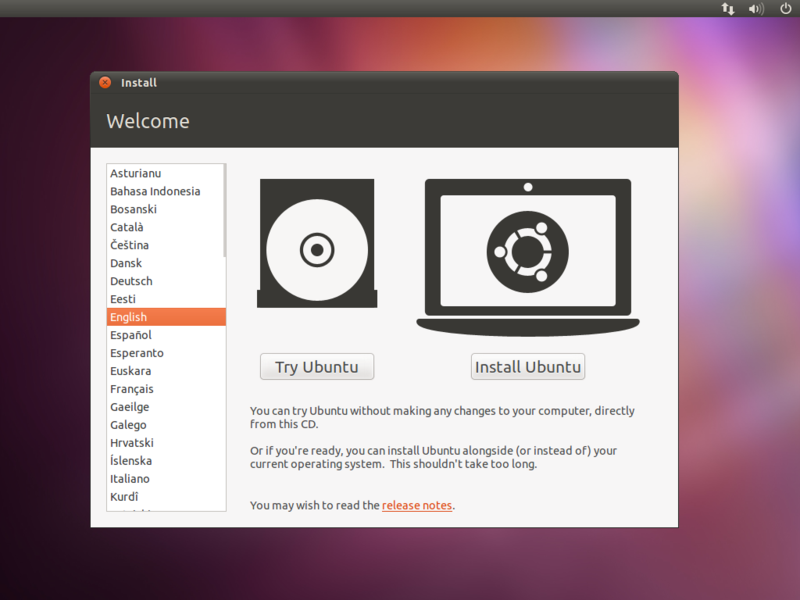 Ubuntu installation process is easier as compared to WindowsXP and similar to Windows7. 3. Stable, that's how most users define Ubuntu and I believe that too. Do you need to format Windows like you change your Socks? Do you need to Reboot Windows once in a while? Do you see a Blue screen often showing "a problem has been detected and windows needs to be shutdown to prevent damage"
My System kept Smooth ever since I am using Ubuntu. 4. Secure – Ubuntu is immune to viruses, not 100% there are just a few 1000 viruses/malware for Ubuntu and this amount is negligible as compared to the billions of Viruses/Malware for Windows. Over 90 percent of known computer viruses target Windows PCs. You don't need any Anti-virus for Ubuntu because Ubuntu comes with a built-in Firewall and virus protection. Windows viruses cannot work on this platform. Even though its Source Code is freely available for everyone, Its too difficult for a anyone to Crack it. one has to go through different levels of its Source Code for doing so. By installing Ubuntu you enter to the Virus Free Zone. 5. It’s up-to-date – Ubuntu is released every six months and brings you regular updates for free. So you will always have the latest version of Ubuntu right away.Windows has Windows Update, but that only updates the operating system, Office, and a few other things. For Ubuntu When you update, you have every application, every library, every script - every single piece of software upgraded automatically for you. This is great for security, fixing bugs and getting the latest in features. 6. Lightweight & Fast – Ubuntu takes only 3-4 GB of space on your HDD after installation that means you have more disk space for your own use. you can even install the entire Ubuntu OS on a 4 GB Pendrive and carry it anywhere and use it on any computer!. Windows 7 takes about 16-18 GB space on HDD. The booting time of Ubuntu(Ubuntu 10.10 Desktop Edition) is just 7-8 seconds whereas it it 30-40 seconds on Windows 7. Windows soon slows down, Ubuntu doesn’t seem to ever slow down. Everything works as quickly as it did yesterday. 7. Low System requirements – We Can run ubuntu on Older Machines (Lubuntu & Xubuntu are faster, more lightweight and energy saving variant of Ubuntu designed for low-specification computers).System requirement should be much higher to run Windows effectively. 8. 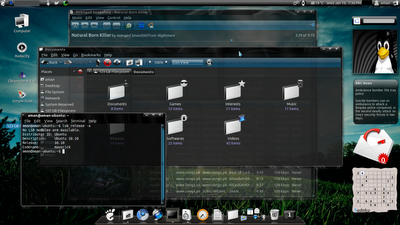 Apps/Software – Searching & Installing a software is much more easier on Ubuntu. All software Packages can be found in the Ubuntu software Center and can be downloaded with just a click (no next-next-next & finish as it is in windows).You can download all your favourite applications on Ubuntu- Skype, Google Chromium(the opensource version of chrome), Gimp,VLC media player.Ubuntu comes with Firefox, Banshee, Libre office preinstalled. 9. Customization and Looks – Since Ubuntu is an Open Source Software, you can Customize it as you want..You can customize it to the maximum level possible. Windows cannot be customized. When it comes about Looks nothing is better than Ubuntu. It is more beautifully designed than windows 7 and can be made look more better through Compiz and many other tools by adding special effects and so on.